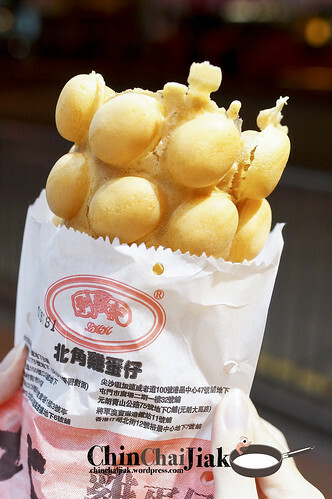 Egglet Ji Dan Zai (鷄蛋仔/鸡蛋仔) is one of the most popular street snacks in Hong Kong that is mainly made from sugar batter made with egg, sugar, flour and evaporated milk. 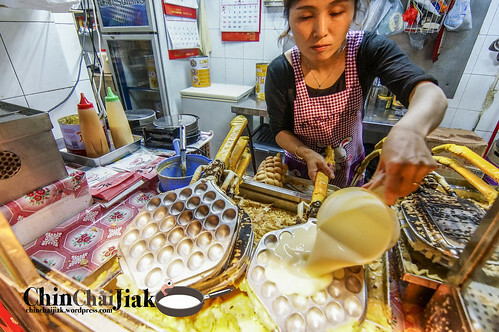 This batter is poured into a special two-sided pan and the batter is heated to crisp in the shape of mini egg. Egglet (Ji Dan Zai) literally means mini chicken egg as what the appearance suggest. Having tried a couple of Egglets off the street, i decided to search for one that is popular among the locals. 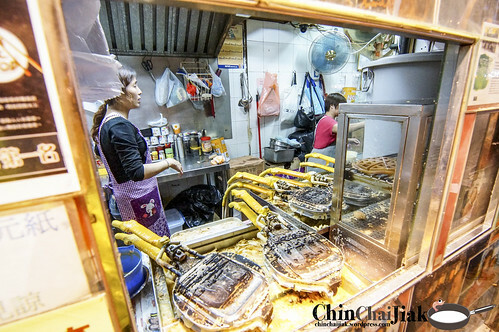 There are many stalls selling Egglet in Hong Kong and one of the more reputable one is the 利強記北角雞蛋仔, or people just simply calls it North Point Egglet (Bei Jiao Ji Dan Zai). 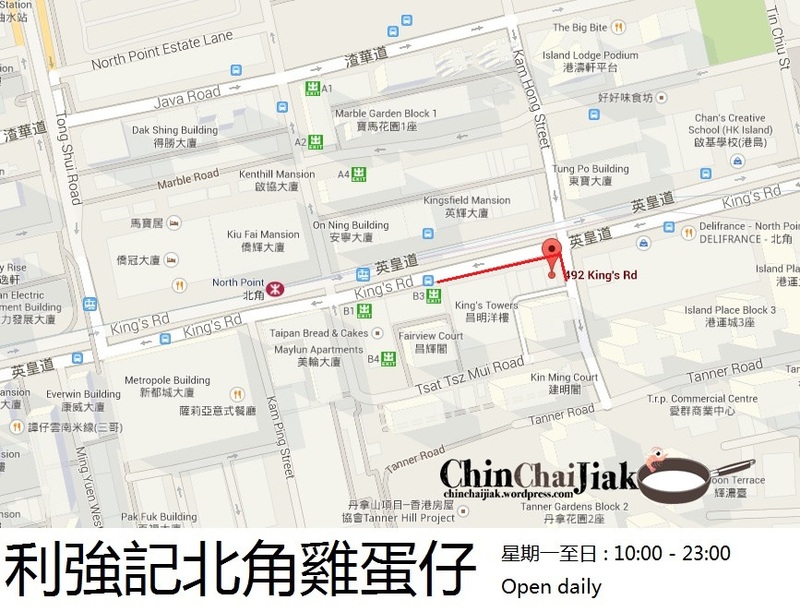 They have a few branches (nine as per openrice), but i read that their Tsim Sha Tsui and the main branch at North Point are the better one. There is a short walking distance from the North Point MTR to this stall and the egg fragrance can be detected even before reaching the stall. If not for the queue, this Egglet stall is almost unnoticeable. 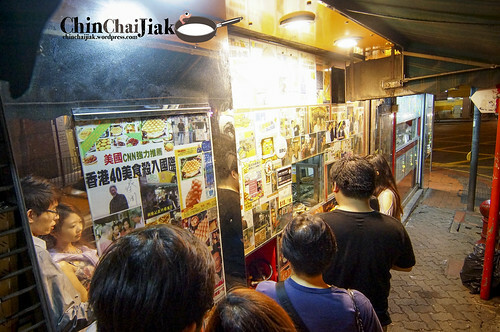 If you look closely, you can see that the the whole wall outside the stall is decorated with newspaper articles on North Point Egglet, with some labelling this little stall for selling the best Egglet in Hong Kong. Every piece of Egglets are freshly prepared and each piece is served piping hot from the pan. 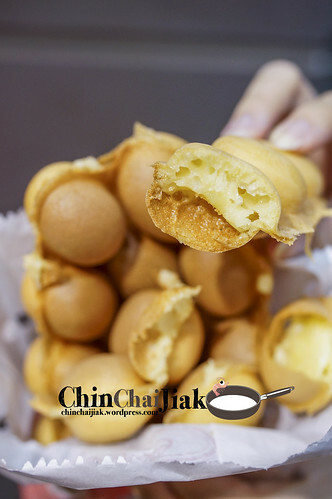 Their Egglet is exceptional crispy while the interior remains fluffy and soft. One thing to note is it’s noticeably less sweet than a typical Egglet found in Hong Kong which one gets to savour the natural fragrance of the eggs. In fact, some people complained that the Egglet can be sweeter. There are no fanciful flavour and everyone just simply state the quantity of Egglet when they order. I was actually really stuffed then and i told myself that I will not finish the whole thing but It’s so addicitve and before I know it, the paper bag is already empty. To me, the texture of the Egglet is more important than anything else and North Point Egglet hit that right on the spot. It’s priced at a still-reasonable HK$15. Top and bottom exterior is cripsy while the center is fluffy and soft. Some said that it can be sweeter though. Although preparing an Egglet looks easy, the control of the timing and the temperature of the pan is much tougher than it looks. It simply takes too much effort and requires a lot of experience to do up a good Egglet. 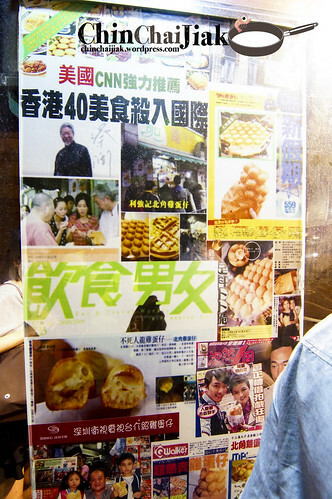 If i compare Bei Jiao Ji Dan Zai to Singapore’s Eggette, none is even close. My favourite Egglet was from a stall at Mongkok’s Garden Street. It’s not very well known but I thought their Egglet is the best I had so far. To be honest, the taste between that and North Point Egglet is actually comparable in term of texture and taste. Bei Jiao Ji Dan Zai is slightly better in term of the egg fragrance and each piece is piping hot and freshly prepared only upon ordering, while the one i had was already pre-made and placed at their counter. 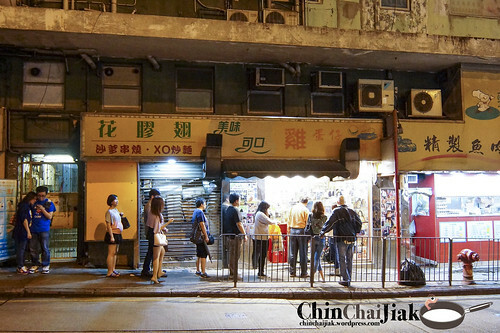 If you are at the Hong Kong Island area already, why not pop by this stall to have a shot of Hong Kong’s local taste. 1. Exit from North Point Exit B3. 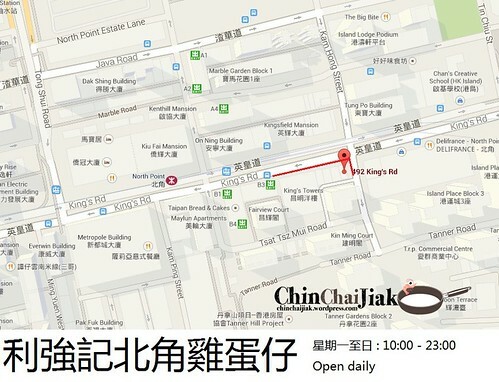 This entry was posted in Dishes - Eggette, Good For - Cheap Eat, Location - North Point, Type - Street Food and tagged Eggette, Hong Kong, Ji Dan Zai, North Point MTR, street food, Tsim Sha Tsui. Bookmark the permalink.